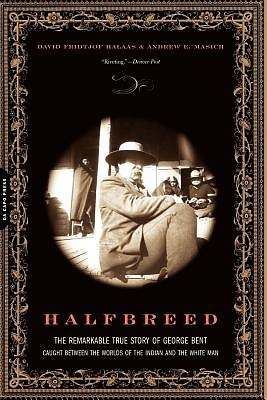 This is the story of the amazing and uncommon life of George Bent-a "halfbreed" born to a prominent white trader and his Indian wife-whose lifetime spanned one of the most exciting epochs in our nation's history. Raised as a Cheyenne but educated in white schools, George Bent fought for the Confederacy in the Civil War, became a Cheyenne warrior and survived the horrific 1864 Sand Creek Massacre, rode and killed for revenge with the ferocious Cheyenne Dog Soldiers, and later became a prominent interpreter and negotiator for whites and adviser to tribal leaders. He hobnobbed with frontier legends Kit Carson, Buffalo Bill, Wild Bill Hickok, and George Custer, and fought side-by-side with great Indian leaders. After a lifetime of adventures and misfortunes, accomplishments and failures, George Bent made a lasting contribution to the memory of his people by sharing with historians the story of the fighting Cheyennes.